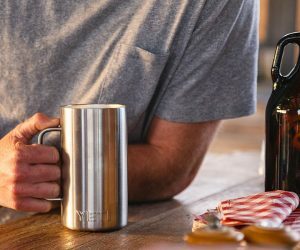 Another super durable offering, the YETI Rambler Mug is a double-wall vacuum insulated vessel that will keep your joe steaming forever. 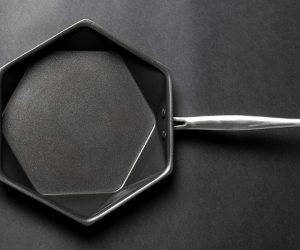 Well, not quite ever, but close enough. 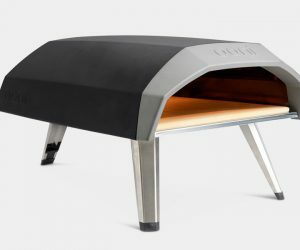 The stainless steel construction has a DuraCoat finish to prevent sweating, it’s dishwasher safe and sports a large, comfortable handle. Five colors available. In the spirit of its straight-to-the-point name, the Original Big Blanket does exactly what is says on the tin–and then some. 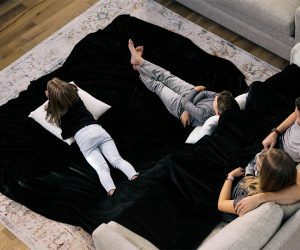 More than just a blanket, this 10-foot by 10-foot badboy, available in black, navy or cream, is a machine washable, moisture wicking, temperature regulating soft slab of coziness with plenty of room for friends and family, too. 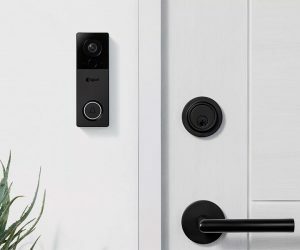 Funnily freak out visitors by answering the door even when you’re not in with the August Doorbell Camera. The wireless device streams high-res video to your phone while the two-way audio means you can hear and chat with your guests. A cinch to set up straight out of the box, sign up for a video recording subscription and you an review any missed visits for 15 or 30 days. 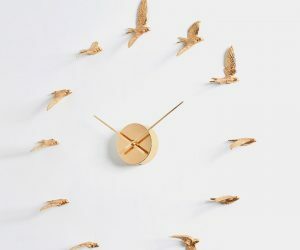 The result of some seriously intricate craftsmanship, by hand, the HAOSHI Gilded Swallow X Clock is a wonderfully imaginative twist on a classic wall clock, with the numbers replaced by twelve small sculptured swallows. Each bird is mid-flight and sheathed in gleaming gold leaf, offering a functional and strangely hypnotic piece of art to your work or living space.